WE ARE SEEKING A GOLD DUST PRODUCER AND TECHNICAL MANGER (Posts subject to a successful funding bid). Vanitas Arts develops collaborative, digital based work that explores the human condition through combined media platforms. The work explores power, gender, social identities, oppression, exclusion and interconnected practices. Festival 2016 at Theatre Deli. ​She was selected as a National AA2A TransMedia artist hosted by Sheffield Hallam University 2016/17 and is returned in 2019. 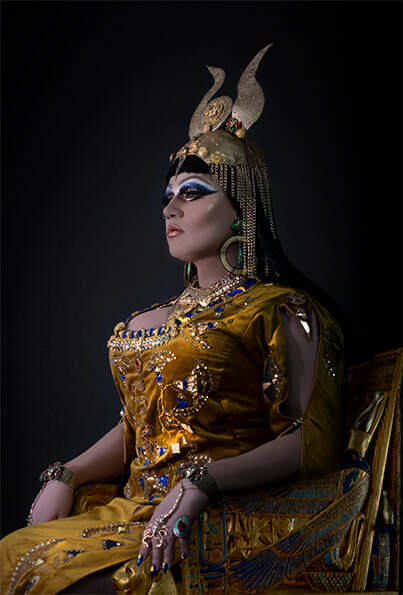 A collaboration between Vanitas Arts and Lizzie Biscuits explores Queer identity through a presentation of Cleopatra (Narcissa Nightshade) in the regalia of a dress designed by Fine Arts Costumier Lizzie Biscuits. We present Cleopatra as representative of a broadening spectrum of identities, a rejection of the confines of heteronormativity and as a dismissal of gender restrictions on dress and hairstyles. We present Queer as the shimmer of multitudes and reclaim the word beyond its derogatory colloquialism. We reclaim Queer as a radical word for a radical time and celebrate GenderQueer identity, presenting our version of Cleopatra in as a celebration of queer self fashioning,. A queer icon who signifies reinvention, revolution and the desire to exist in freedom. The collaboration between Shirley Harris and Seni Seneviratne resulted in an installation and immersive performance exploring themes of power and control, containment and punishment, gender identity, language and silence, trauma and recovery using ancient myths, which resonate with contemporary themes. The ‘Lady of Situations’ project explores central themes through two mythical characters, Philomel and Tiresias. 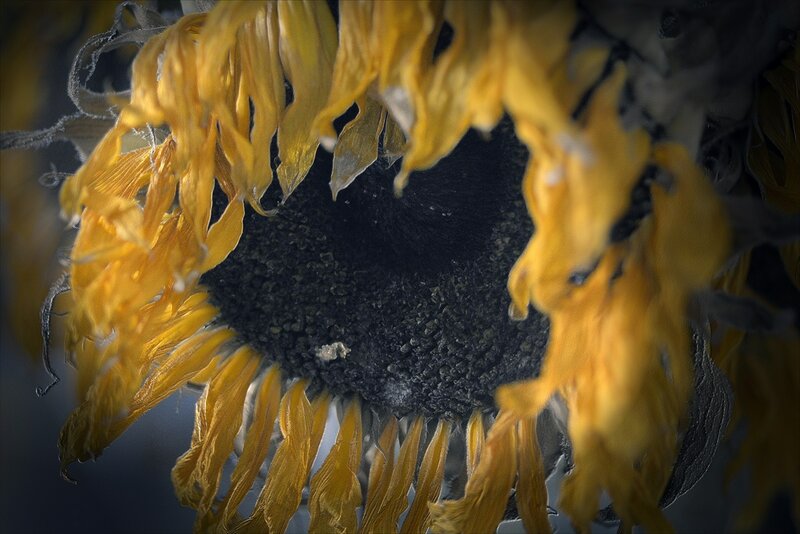 Delivered in a Vanitas style it comprises of photographs, video, performance, written and spoken word/poems, soundtrack. It was premiered at the 2016 Off the Shelf Festival, at Theatre Delicatessen and went on to performances and exhibitions at Bank St Arts and Exchange Place Studios. Over 500 people experienced and engaged with the installation throughout its development and delivery. Reimagines the point when Gabrielle Berlatier, a farmer’s daughter, was gifted Vincent Van Gogh’s ear whilst she was working as a maid.